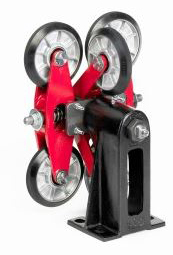 Elpro Slide Guide Shoe, Freight Ridged, 16FR for 5/8″ rail. Set of 4. 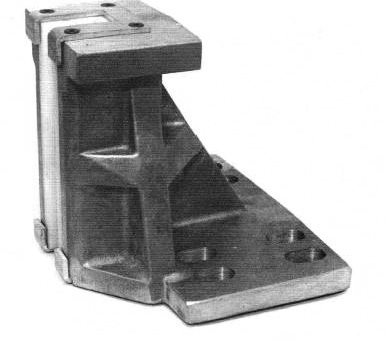 – Harris Companies Inc.
Elpro Slide Guide Shoe, Freight Ridged, 16FR for 5/8″ rail. Set of 4. 16FR (freight) for 5/8”rail. Rated capacity is a gross load of 30,000 lbs. per shoe. 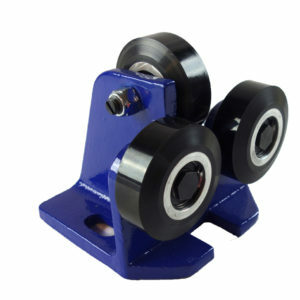 Designed for extreme heavy duty shock loads. The gib can be replaced without removing the shoe. Energy efficient aluminum shoe. 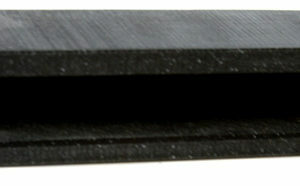 Gib created from UHMW Polyethylene. 18 lbs weight.